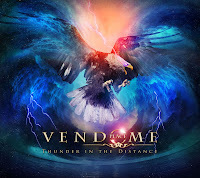 Rock & Metal 4 You: CD-Review: Place Vendome - "Thunder In The Distance"
CD-Review: Place Vendome - "Thunder In The Distance"
Since the last ten years Michael Kiske is very active again in the music world. 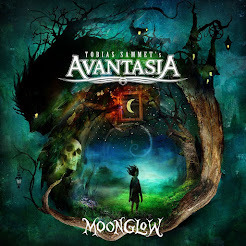 After appearences in Avantasia, Avalon and Unisonic, he decided to do another Place Vendome album. You still remember this project? It's some kind of Pink Cream 69 mixed with AOR in the vein of Toto, Journey and Asia. The previous album "Streets Of Fire" (2009) was a little gem. After four long years, the follow-up "Thunder In The Distance" will hit the stores very soon. I know it's not fair, but most of the work is carried by Kiske and his unique voice here, so very often Place Vendome feels like some Kiske solo stuff. But it wouldn't be a Frontiers studio project if there weren't any other well-known musicians involved here. You'll hear Uwe Reitenauer (Pink Cream 69) on lead guitars, Dirk Bruineberg on drums and Gunter Werno on Keys. Dennis Ward contributes the bass lines and he also handled the production again. I think I don't need to explain how this album sounds. 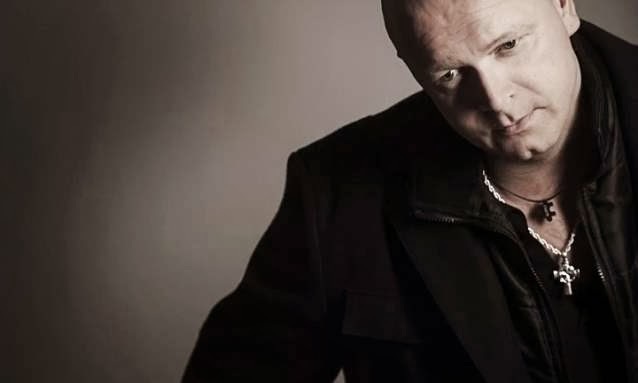 Dennis Ward is a brand when it comes to fantastic productions, you'll get another clear high-class production. So, the whole band sounds tight and very enjoyable. But what about the songwriting? If you take a look at the list of contributors it feels like all songwriters from the Frontiers-camp were forced to sit down and write songs for this album. Purpose weapon Magnus Karlsson (Primal Fear), Timo Tolkki, Alessandro Del Vecchio (Hardline), Tommy Denander (Radioactive) and Sören Kronqvist (Sunstorm, Issa) are just a few names and I think you know where this journey takes us. 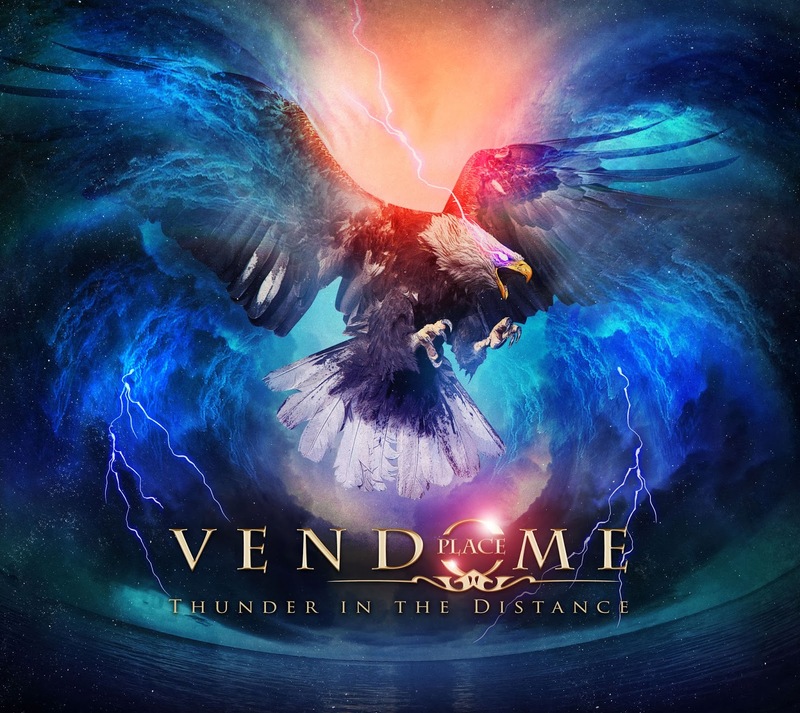 Due to this bunch of songwriters, Place Vendome have to deal with the same problem like the latest Frontiers project Find Me. At least the half of the songs sound too generic with replaceable melodies and without any soul. I know this sounds hard but "too many cooks spoil the broth". You heard lots of the stuff a thousand times before and this leads to bordem after several songs. Tracks like "Lost In Paradiese", "My Heart Is Dying" or "Break Out" sound so irrelevant to me. Where are the big hooks? With gems like "My Guardian Angel", "Believer" and "A Scene In Reply" the previous album "Streets Of Fire" had much more class to offer. To be fair I've to admit that "Thunder In The Distance" presents also some hits. "Hold Your Love", "Power Of Music" and especially "It Can't Rain Forever" show how much potential lies in this project. Those are great tunes, but the overall songwriting is just disappointing to me. I expected much more here. Speaking about Michael himself I just can say that his voice is still top notch and rescues some of the average songs, although I don't like it when he uses his vibrato on the high notes so often. Yeah, Frontiers did it again - here is the third part of a studio project which has lots of potential, but it's not exhausted. Sadly the high-class musicians just present the typical Frontiers-cocktail on most of the songs. Maybe I should tell you that I appreciate this Label for all its great Bands and everything they do for the Melodic Rock scene, but when it comes to their studio projects it's just the same (with minor exceptions). Here they always want too much with their endlessly list of songwriters, which are used too often on similar projects. Maybe such things can be sold very well. I don't see any other reason in doing this. So finally, if you are a Kiske fan - buy it! If you are hungry for more AOR fast food - buy it! But if you are tired of listening to the same Melodic Rock formula again and again then do yourself a faviour and listen to other "real" Bands. Thumbs up for the great musicians and the pefect production, thumbs down for repetitive songwriting.